A set up was created, to set the background for the story telling. 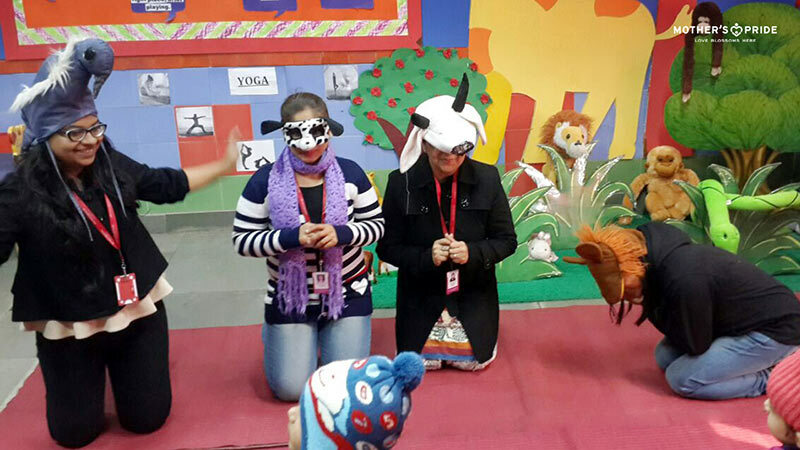 The dramatization was done by teachers .Children enjoyed the story telling by the teachers who introduced the sound of various animals through voice modulation making it relatable for the children. 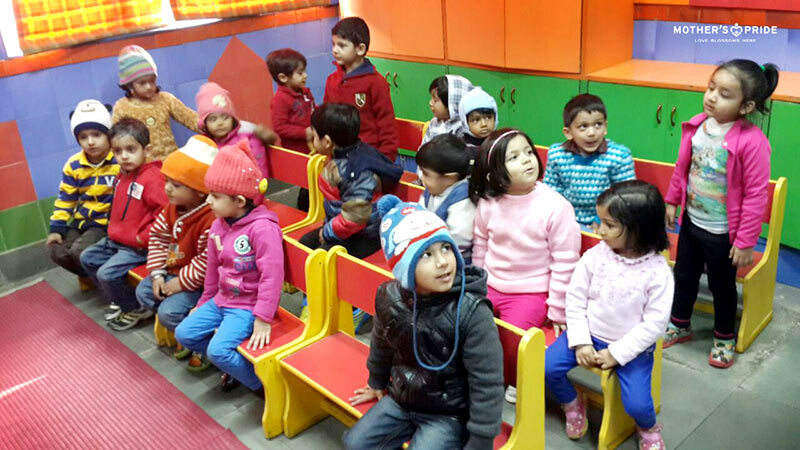 To make it more interactive, teachers asked probing questions to the children like: Who is coming in our class? Who makes a sound of tweet tweet? Who is sleeping? Who is the king of the jungle? 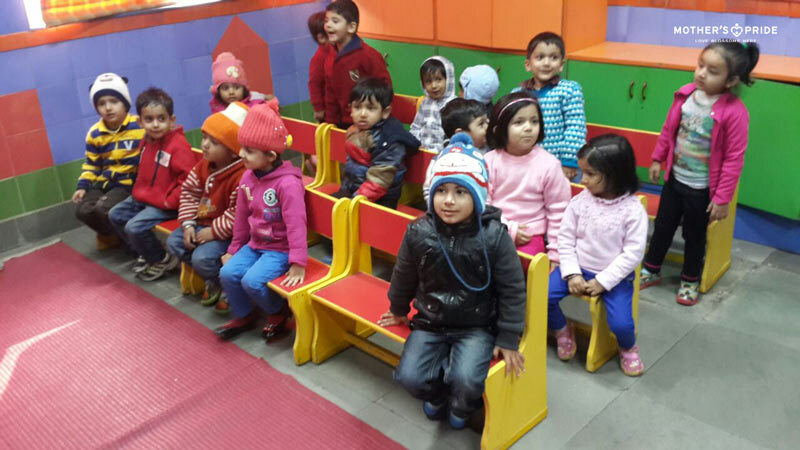 Teachers further recited the rhyme old McDonalds with the children. 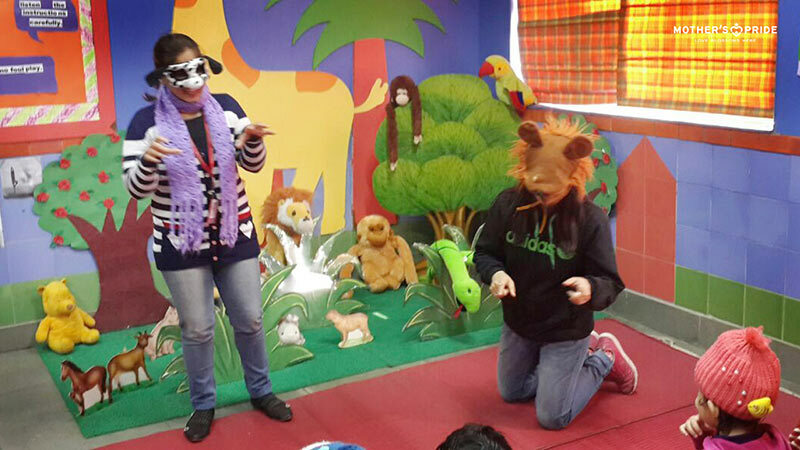 Children enjoyed producing different sounds of animals as in the story. 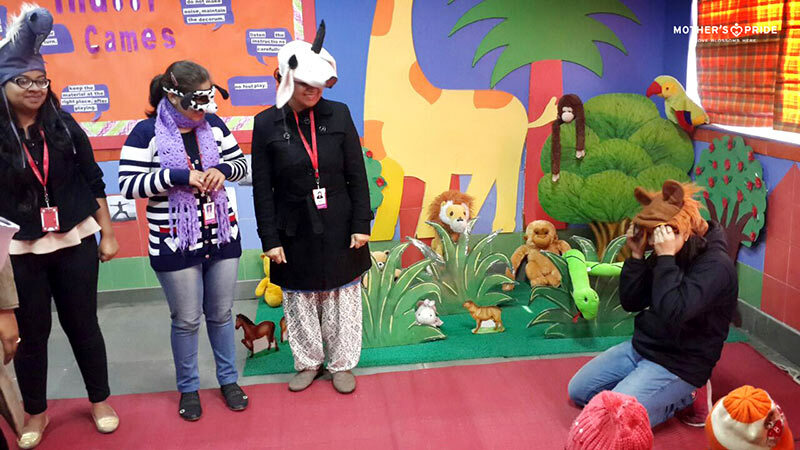 The activity helped recognize sounds of animals and also develop sound discrimination. Children were able to guess the names of animals after listening it’s sound.